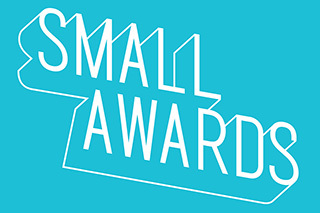 Applications are now closed for this years Small Awards. We will soon be selling tickets to the Awards and these will be avaialble shortly. This award is looking for a strong high street business that has a proven record of contributing towards the success of their street. The business will be an active member of their community and work to drive footfall to their business and neighbouring businesses. The award will recognize both long-standing businesses and younger businesses that are doing something exceptional with their premises. This award celebrates small businesses that use multiple channels with innovation and skill to develop their business. Channels can include office or store, website, social media, mobile or trading platforms. The award is looking for businesses that demonstrate a flair for getting the most out of these channels. The judges will recognize in particular businesses that use their channels to work with and promote other small businesses. This award recognises the unique characteristics, challenges and strengths of family run small businesses. The business will demonstrate involvement and contribution from family members as well as demonstrating business success over a period of time. The award is looking to celebrate unique stories from businesses that have worked as a team to achieve great things. This award recognises small businesses that are working within the business supply chain. Businesses will work with other businesses large and small, with particular credit to those businesses that include other small businesses in their supply chain. The award will recognise financial success in these businesses, as well as a strong history of customer engagement, relationship development and contribution to local small business eco-system. This award is for businesses that have started less than 18 months ago (from December 2018) and have demonstrated in that time considerable progress to grow and develop. The business will show progress in one or more of the following areas: product or service development, customer engagement or acquisition, marketing and sales process, cost or process management, team development. The award is looking for inspiring new businesses that will be seen as role models for other new businesses. This award recognises small businesses that operate only through digital channels. The business will not have a storefront, but use the internet to market, sell, and promote their product or service. The award will celebrate strong use of digital channels to engage customers, innovation in web design and functionality, and growth in audience over time. The business will demonstrate strong understanding of digital engagement and show how they have used this understanding to deliver for their customers. This award recognises the small businesses that contribute a bit extra to their local community. The business will work with their community, other small businesses, local charities, schools, local councils or their local residents to achieve great things. The community can be defined geographically or by sector across the UK. This award is up for interpretation by the small businesses – the award will look for evidence of a heart of gold. This award will celebrate the best small service businesses in the UK. The business will demonstrate a strong record of serving their target customer set. This can include B2B, such as communications or media, and direct to consumer businesses, such as restaurants, bars and hairdressers. The award will look for exceptional levels of service demonstrated with evidence of strong customer engagement. This award is specifically for sole traders and celebrates the tenacity and drive it takes to go it alone. The winning sole trader will demonstrate considerable progression, a sense of contributing to their community and a sense of purpose for their future. They will demonstrate excellence in all areas of the business, being excellent multi-taskers as all sole traders are. This award will be given to the business that is driven by its mission over and above financial performance. This mission will benefit a group, a community or society more widely. This award is ideally suited to CICs, not for profits and charities, but is open to all businesses that set out and deliver on a demonstrable mission. The winning business will articulate its mission both internally and externally, and will show evidence of progress towards delivering on that mission. This overall award will recognise the best of the best. The winner will be selected from the shortlisted entries from the other categories. This business will show evidence of excellence in many areas of the business, to include: revenue growth, sales and marketing, product or service innovation, organisational behaviour and structure, staff management and development, cost management, stock and supply chain management, use of digital channels, social responsibility and supporting other small businesses. For further information and to discuss sponsorship, please contact us.